The indie polish community is known for its support of charitable causes. I've seen charity auctions, charity polishes, and shop owners who donate a portion of their overall profits every month. With the Easter holiday coming and the inevitable launch of Easter polish collections, I'm hoping that maybe, just maybe, an indie brand might consider some Easter-inspired charitable donations as well. 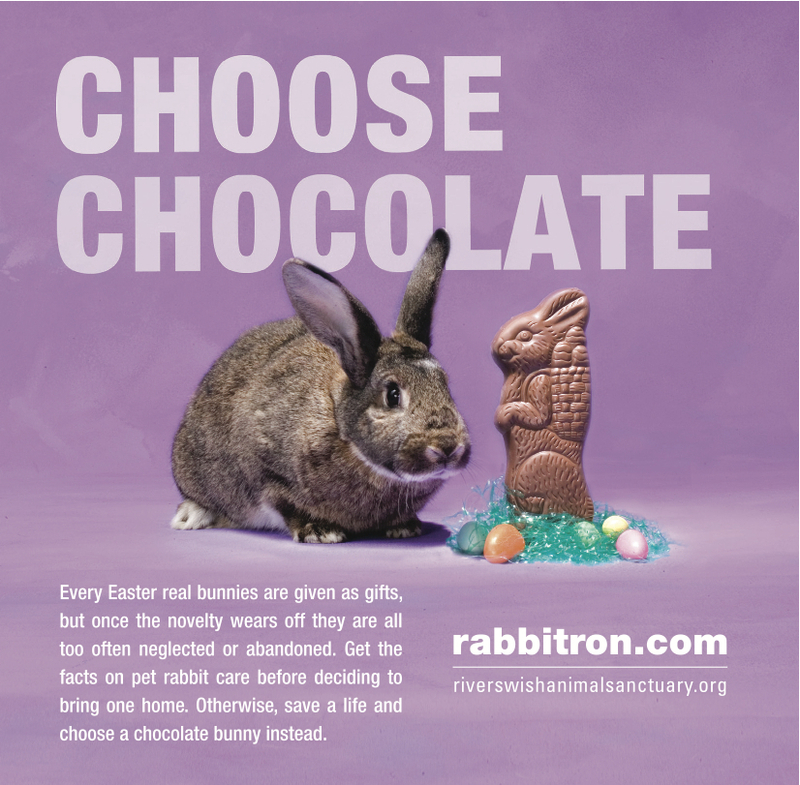 Specifically, I suggest indies help the bunnies this Easter. Every Easter, countless families buy rabbits for their children without thinking of all the responsibilities that come with owning a rabbit. They don't understand that rabbits are generally not cuddly, don't like being picked up, and are not good with children. They don't realize that an outdoor hutch is not a suitable home for their new pet. They don't know that their new bunny is an 8-12 year commitment. They're not aware that rabbits need to be spayed/neutered for health reasons, that they're prone to expensive medical emergencies, and that they require massive mounts of high-quality hay and vegetables. They have no idea that rabbits are intelligent companion animals, that they can be litter trained, and that they can be just as much a part of the family (and just as big of a responsibility) as a dog. These families become frustrated when their new pet is not all they wanted it to be. The tiny ball of fluff grows up and gets bigger. That sweet little bunny hits puberty and gets nippy or sprays urine (and of course, they don't know that a spay/neuter will fix this). The children get bored with the rabbit and leave it to languish outside in a hutch. And so, every year, countless bunnies die. They die from getting too hot, too cold, or out of fright when a predator harasses them out in their hutch. They die from reproductive cancers because their owners never got them spayed/neutered. They die because their owners are so out-of-touch with them that medical emergencies and health problems went unnoticed. They die because the shelters their owners leave them at euthanize them. Perhaps worst of all, they die from starvation, exposure, predators, or being hit by cars when the families they relied on decide to "set them free" (read: abandon them) in parks, fields, or by the roadside. Please, indies, consider helping the bunnies and spreading awareness. I know that Lynnderella has helped a rescue, but that will eventually come to an end, and it would be great if more rescues could receive assistance. The House Rabbit Society-Money donated to the HRS supports its education and rescue efforts. The HRS receives no government assistance, so donations are the only thing that keeps it afloat. The HRS Emergency Grant Program-Funds donated to this program provide assistance to rescues in need of major help (like dealing with rabbits removed from hoarding situations). List of rescues not associated with the HRS-Money donated to the HRS does not go to these rescues, but there is usually still a way to donate to them. Check each rescue's website for ways to donate. Post educational info on your social networking pages-Even if you cannot donate, just spreading the word about bunnies and Easter is a huge help. You can find some graphics that would look great on your Facebook timelines at the bottom of this page (you may need to change them from PDF to jpeg or whatever).